Leeds Gas Showroom Appliance and Fireplace Studio has been situated on Eastgate in Leeds city centre for many years, earning a fantastic reputation as the place to go for expert advice and service along with a comprehensive range of both gas and electric products. In fact, there has been a showroom there for 60 years, being an independent store for the last 20yrs. Co-owner Peter has been in the appliance industry all his working life, and the five members of staff who work in the studio have a combined total of 130 years-experience making their expert advice second to none! 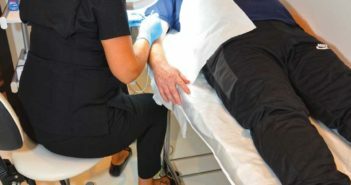 The fact that they have all been at the showroom for the last two decades also ensures that customers get a professional yet personal service, dealing with the same friendly faces from their very first visit throughout the whole sales process. Staff are not on commission either so there is absolutely no pressure to buy. 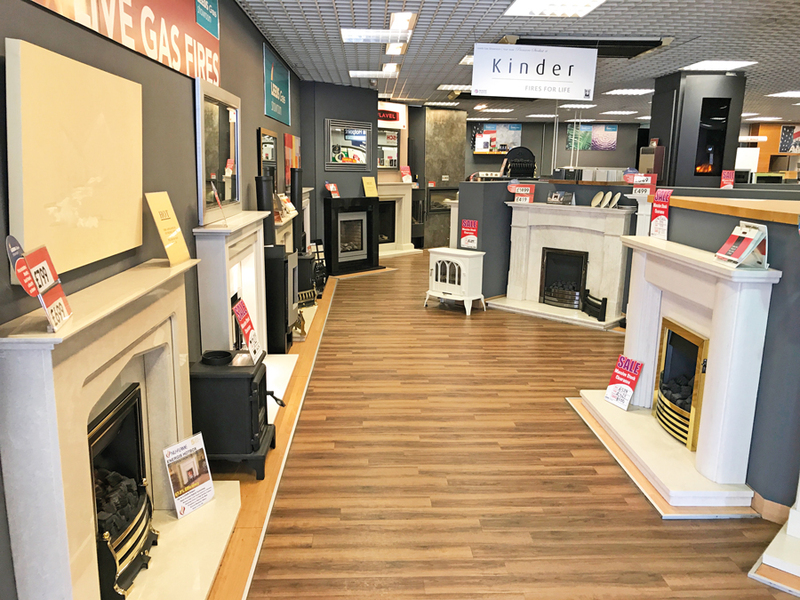 At the studio, you will find one of the most comprehensive ranges of fireplaces and household appliances in West Yorkshire with all major manufacturers stocked. Everything they sell is installed by fully qualified and industry certified fitters, making the appliance and fireplace studio a truly one stop shop. You can browse a huge selection of both gas and electric fires at the appliance and fireplace studio. With both modern and traditional designs from manufacturers such as Kinder, Flavel, Gazco, Dimplex and more, you are sure to find a cosy fire to perfectly complement your home, complete with hearths and mantels to choose from too. 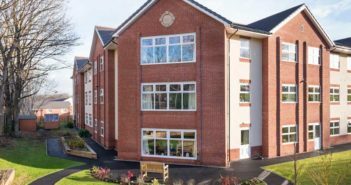 Of course, it is not entirely about appearance – you need to choose a fire that can be safely installed in your building. Leeds Gas Showroom take away the worry of purchasing something unsuitable as they offer a surveying service to inspect your chimney and flue to ensure the suitability of the product you like. This survey gives peace of mind, and as the cost of it is deducted from a subsequent purchase of a fire, you really have nothing to lose! Fireplaces are fitted by the friendly team of installers, and the studio also offers bespoke fireplaces where required too. If you like a particular fireplace but need it larger or smaller, no problem. Perhaps you would like to add lights? The choice is entirely yours and the sales team are always happy to discuss your options and help you to achieve exactly what you want, all at competitive prices. Summer is the perfect time to think about installing a central heating system or upgrading an outdated one for your home, ready to be snug and warm in winter! 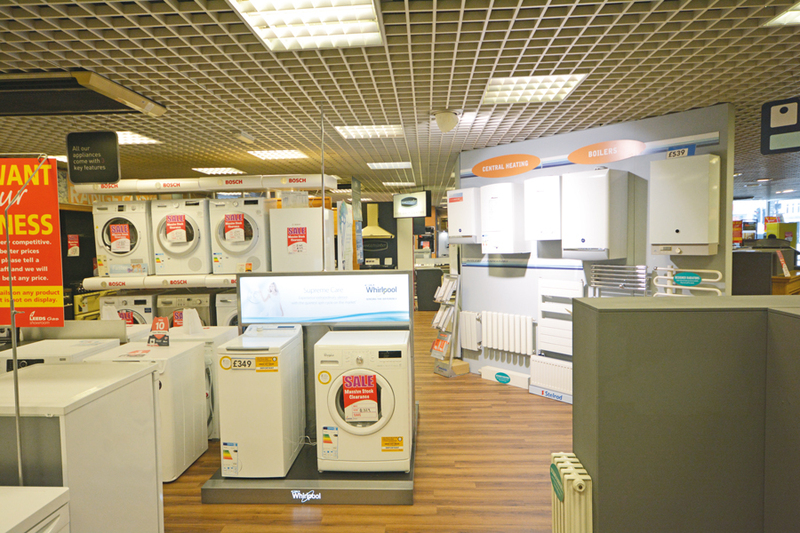 Leeds Gas Showroom offer a range of both gas central heating systems and electric systems such as storage heaters in their appliance studio, ensuring there is something suitable for every home. 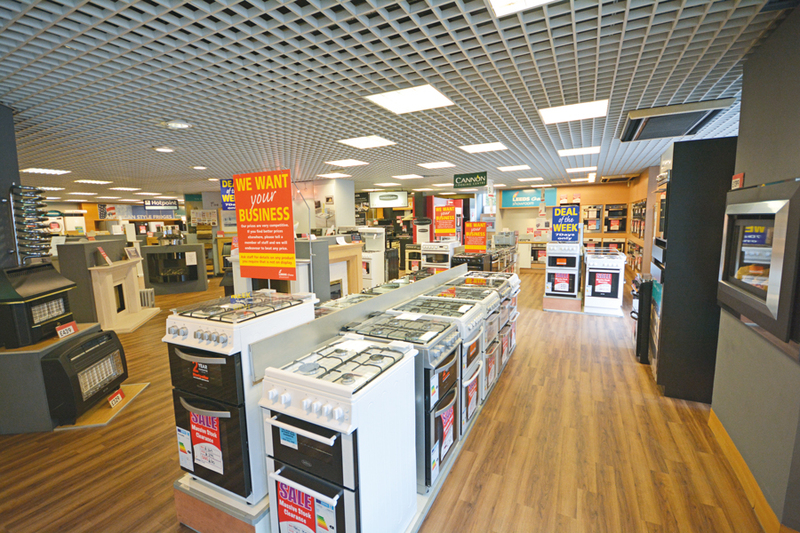 Leeds Gas Showroom sell a vast range of cookers from free standing to built-in and range cookers with a variety of oven and hob options in both gas and electric. They also offer splashbacks and cooker hoods to complement your new purchase. So, if you have a large farmhouse style kitchen or a little galley area, they are sure to have the perfect cooker for you to rustle up delicious meals in style. White goods available at the studio include fridges, American style fridge freezers, wine coolers, washers, driers, dishwashers and more. Offering manufacturers such as Bosch, Hotpoint and Siemens to name just a few. 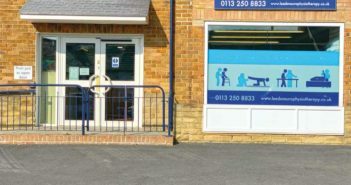 Leeds Gas Showroom are proud to offer fantastic products to suit all budgets and always endeavour to offer the best prices for all their product ranges. They can often match or beat internet prices wherever possible. When you consider that you can essentially fully stock your home with all the appliances you need, from a single store offering great prices and with a friendly, expert service, why would you go anywhere else?